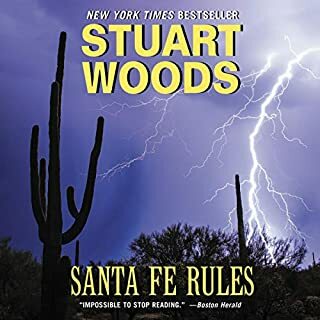 In the exhilarating new adventure from number one New York Times best-selling author Stuart Woods, Teddy Fay races to stop a scheme of extortion and a hostile takeover. Ever a man of mystery and intrigue, Teddy Fay has donned a new disguise - that of Mark Weldon, a stuntman and actor starring in Centurion Studios' newest film. 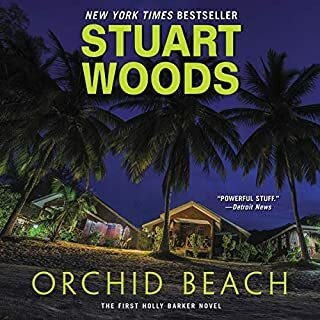 When the picture's leading lady begins receiving blackmail threats, Teddy is in the perfect position to investigate, and it soon becomes clear that the villains have more in their sights than just money. Money they've got. What they need is prestige, the cache of a respected studio to lend authority and legitimacy to their artistic endeavors...and a little bit of vengeance in the bargain. From the seedy hidden corners of Los Angeles to the glamorous Hollywood Hills, it will take every ounce of Teddy's cunning to save an actress' career, protect the studio, and finish filming Centurion's next big hit. Teddy Fey is the greatest. 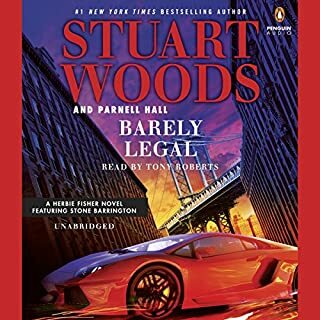 I enjoy all Stuart Woods’ book and characters but Teddy is the most fun to read. 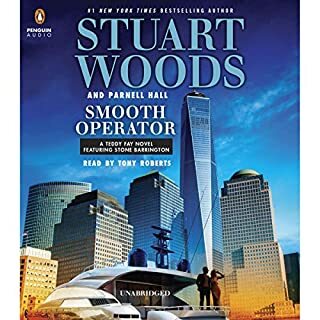 However l wish Woods would use the F word less in his other books. I was in the Army not the Marines. I never heard the F word unless it was preceded by mother or followed by you. They finally turned the last good storey line into a cliche of recent Barrington episodes - soggy and with only the slightest bit of imagination but very drab for a Teddy Fey story. The older Teddy Fey stories were exciting and action packed like the early Stone episodes. Now it seems everybody is rich, settled to their lot in life and all contain the same amount of just the right break at the right time to keep to the seven is hour formula that has become a trademark of the series. I would recommend to look elsewhere unless you are looking only for a quick dip of your hands in cool dishwater to be your Saturday night excitement in my opinion. 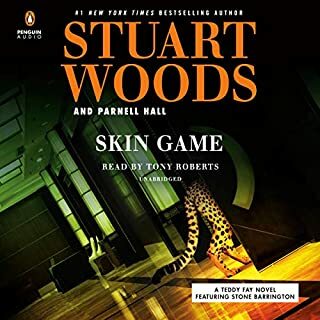 This could be my first return to audible. 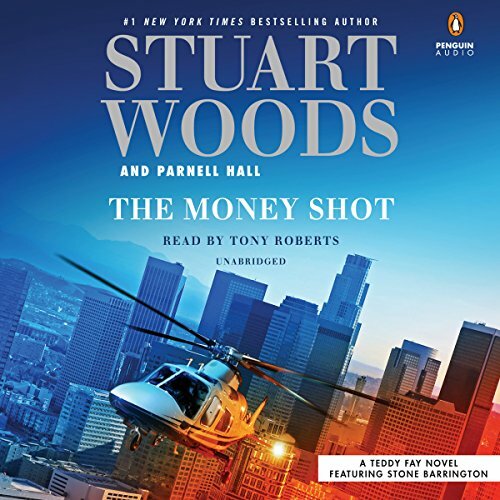 Here’s my take on The Money Shot, as written by Stuart Woods and performed by Tony Roberts: I’m not in the target audience of feeble, old white men. And I’ll be 70 in 3 months. Perhaps, I’d like this one if I were 10 years older and confined to a institutional bed. I’m not, but there were times while listening to this waste of a credit that made me wonder if I should be for sticking with it to the end. Do yourself a favor. Just say no. Usually great - This time not so much. save this one. 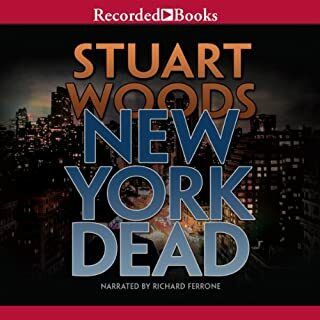 I hope this is not an indication of the future quality of Stuart Woods projects. Although this story had mainly young characters they all sound old. Need to get a younger one. Great storyline. Teddy Fay never disappoints; Wonderful character. Suspenseful, imaginative! Thanks for a great audiobook. The family grows and stands tough and kind and smart as always. I let the whole book play through while I was driving but never could get interested in it. teddy day trys to help someone and gets caught in a life and death situation from 2directions.